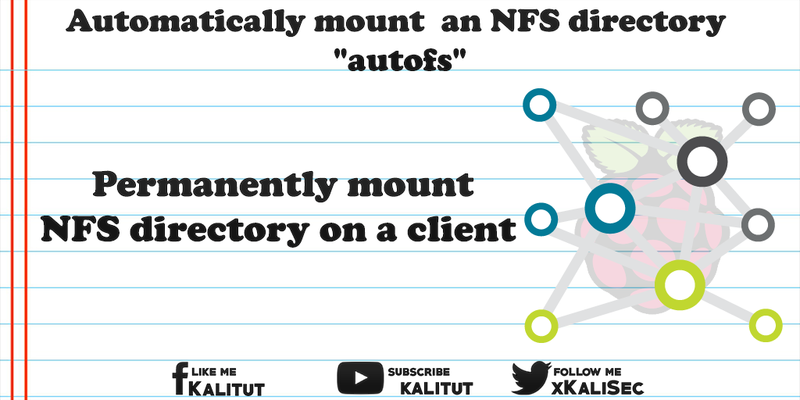 Automatically mount / unmount an NFS directory with "autofs"
The goal is to make an NFS-exported directory permanently available on a client. Normally this would be done by modifying the file "/ etc / fstab" so that the NFS directory is automatically included at system startup. However, "fstab" has the disadvantage that mounting fails if no network is available at system startup. Usually you create a script that hangs the directory only when a network connection was detected. Or you can enter the mount command in the file "/etc/rc.local". But we want a solution that really works, while avoiding error-prone pull-ups. The establishment of NFS often fails because it does not permanently get the shares on the clients. Therefore we integrate the exported directory with the tool "autofs". With "autofs" partitions can be mounted automatically when needed and automatically unmount after a long period of non-use. Note: autofs uses automount. In addition, the exported directory is always mounted on first access and not automatically at system startup. This is not a problem if you accept that there will be a short delay on first access. Then we open the master file in which the map files are entered. Then the modified map file must be reloaded by a restart of "autofs". It will be taken into account for future integration. Now you can test if the exported directory is included. Here, the contents of the exported directory should be displayed by the NFS server. Make sure you have at least one file in it to see on the client if the mount worked. If the directory on the server is empty, you can not tell the difference between mounted and not mounted on the client. Whether "autofs" really works, you can only check by restarting the client. As a rule, the shared directory should be available after the first access. If the integration of the exported directories does not work, check if any NFS shares are available. If so, then there may be a problem with "autofs". To do this, check the syslog file, which may contain error messages about "automount".